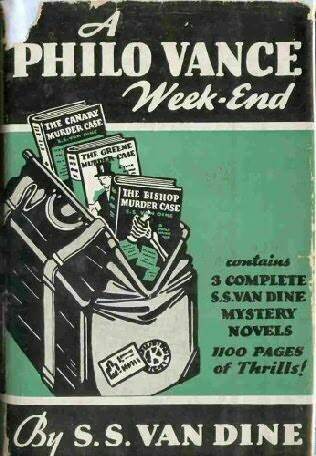 For me, the most satisfying mystery fiction is that of the "impossible-crime" variety. You have probably heard of the type, and perhaps even enjoyed some yourself. The corpse found in a room that was locked from the inside and watched by witnesses at the time when the murder must have happened. The body found on a snowy field, where the killing clearly took place, but there are no footprints around it. The train that disappears between two stations. An entire house that vanishes overnight, then reappears, then disappears again. 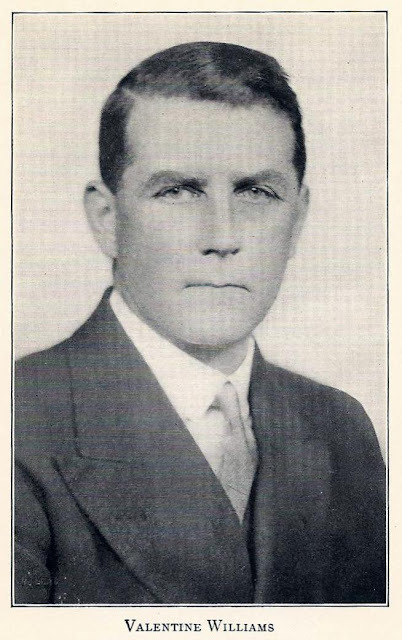 The world of John Dickson Carr. A world where bodies are found alone in hermetically sealed rooms, or in houses surrounded by unmarked snow or sand; where damsels walk into country houses and vanish like smoke; where a businessman can dive into a swimming pool and disappear; where rooms, buildings, streets, even whole centuries seem to vanish. An eerie world, where ghosts, vampires, and evil magicians seem real. 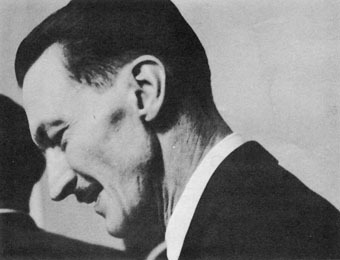 "Let there be a spice of terror," John Dickson Carr wrote, "of dark skies and evil things." Carr's combination of eerie atmosphere, strong suggestions of the supernatural, young couples bickering their way to love, raucous humor, melodramatic writing style, and mind-bogglingly complex mystery puzzles has never been successfully brought to the visual media. . . Mystery puzzles as complex as Carr's are difficult to transfer to the cinema because the viewer cannot easily flip the pages back, metaphorically speaking, to review clues. That's a pity, because successful film treatments of book series typically help spur new readers to read the original tales. — Karnick, op. cit. 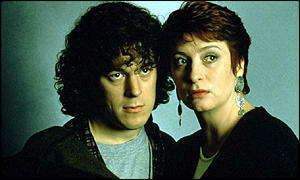 The impossible-crime genre is a difficult one to bring off, even in print, and Jonathan Creek does it very well. Each episode provides perceptive insights into human character and contemporary life, in addition to the fun of trying to outguess Jonathan (which is probably the most impossible thing about the show, as he is perfectly brilliant). Of course, as in Carr's tales, the seemingly supernatural occurrences always have a rational explanation, which Jonathan divines after much investigation and deliberation. The police are quite out of their league here, of course, though typically portrayed as competent and decent. 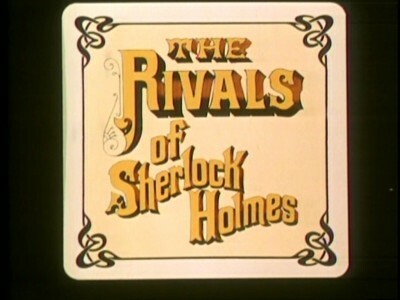 The solutions to the puzzles are always brilliantly worked out, and this is one of only a very, very few TV series that have specialized exclusively in solving impossible crimes. — Karnick, op. cit. There's a comprehensive tribute site dedicated to Piper's work. 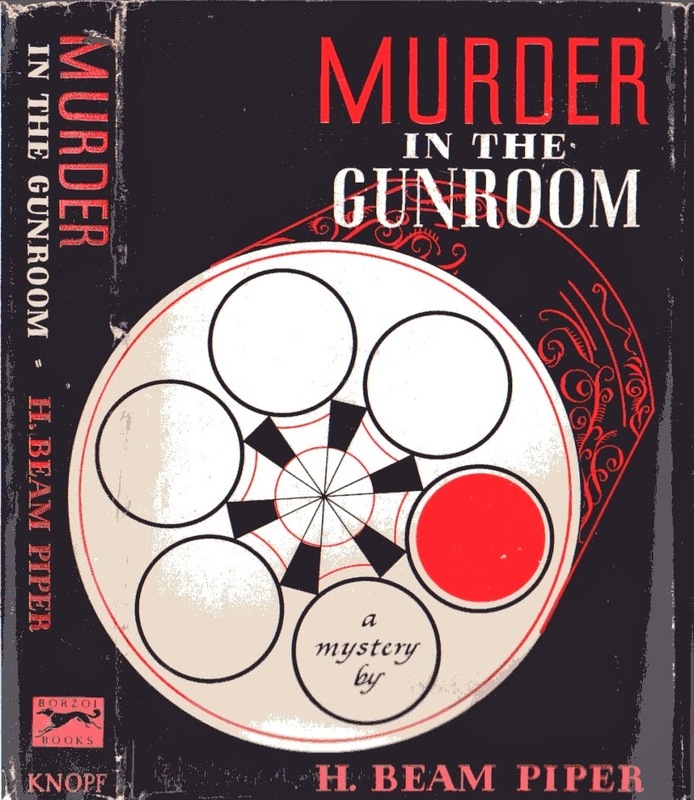 MURDER IN THE GUNROOM seems to be in the public domain, available for free at PROJECT GUTENBERG, MANYBOOKS, and in a Kindle edition. By Michael Innes. Edited by John Cooper. Collection: 18 short and short-short stories. 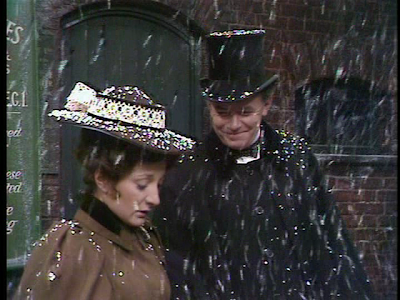 [The stories] are clearly set in England, but in “the Town” and not “the Gown,” almost entirely in the 1950s, and nearly all of them tend to the anecdote. There are no blood and thunder, no angst, no major character development (except by inference). Since most of the stories run to five pages or so (and require about that many minutes to read), the emphasis is necessarily on the puzzle—although the reader will be hard-pressed to solve them himself due to Innes’ tendency to withhold essential facts. 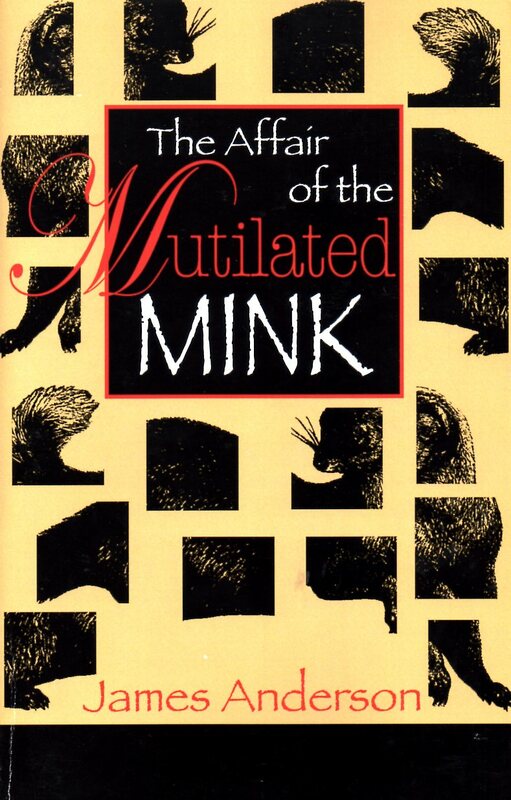 To appreciate these stories, simply sit back, let the author’s cleverness be revealed, and marvel at how he has compacted what lesser writers would need sixty times as much space to accomplish (indeed, some of the plots are wonderfully complicated and could easily have been attenuated to book length). — Mike Gray, THE AMERICAN CULTURE (June 16, 2010). 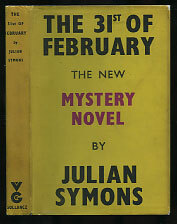 "The Author Changes His Style"
"The Secret in the Woodpile"
"The General's Wife is Blackmailed"
"The Theft of the Downing Street Letter"
"Jerry Does a Good Turn for the Djam"
"The Party that Never Got Going"
"The Mystery of Paul's 'Posthumous' Portrait"
"The Inspector Feels the Draught"
"The Man Who Collected Satchels"
The Rue Morgue Press has a lengthy article about Dillon. We often forget is that Sherlock Holmes’ stories didn’t fill each and every issue of 'The Strand.' One of the reasons that Arthur Conan Doyle was so successful is that detective fiction, thrillers, and spy stories were immensely popular in Britain. Given below are a list of 17 authors who were as popular, or in some cases more popular than the residents of 221 B Baker Street. How many of these authors can you match with the information given [here]?
. . . and this one? Before it became an object of social opprobrium to display one's intelligence, the smartest person in the room usually enjoyed some degree of respect. 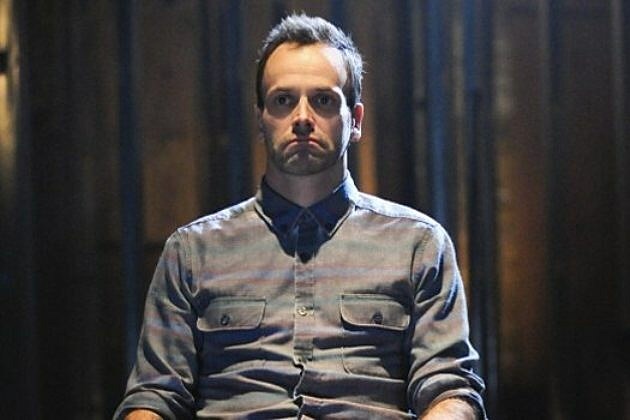 Sherlock Holmes, it seems, didn't have nearly enough flaws for the producers of ELEMENTARY, who have gone out of their way to burden Holmes with full-blown addictions and repulsive personality disorders, so much so that the show has become more about the DETECTIVE than about the MYSTERIES. And, of course, let's not overlook that basket case Mr. Monk, whose defects were often unconvincingly overplayed, straining after but usually failing to achieve either humor or audience sympathy. 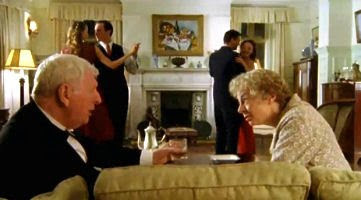 The only episode of MONK that came closest to a perfect balancing of the show's three primary elements—an impossible crime, Monk's emotional disorder, and humor—is "Mr. Monk and the Sleeping Suspect" (2003). Even one of the scenes played for laughs actually becomes an important factor in unraveling the mystery. Too bad the majority of this show's episodes don't do that. 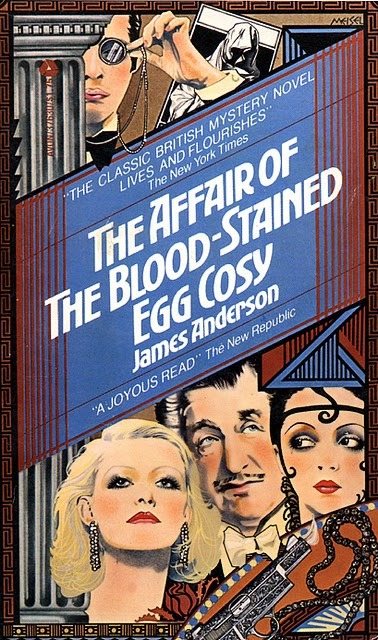 James Anderson’s lasting contribution to mystery fiction consists of three novels about English house-party murders, all taking place in the same country house, Lord Burford’s historic Alderley, and all investigated by the same easily-overlooked but sneakily clever policeman, Inspector Wilkins . 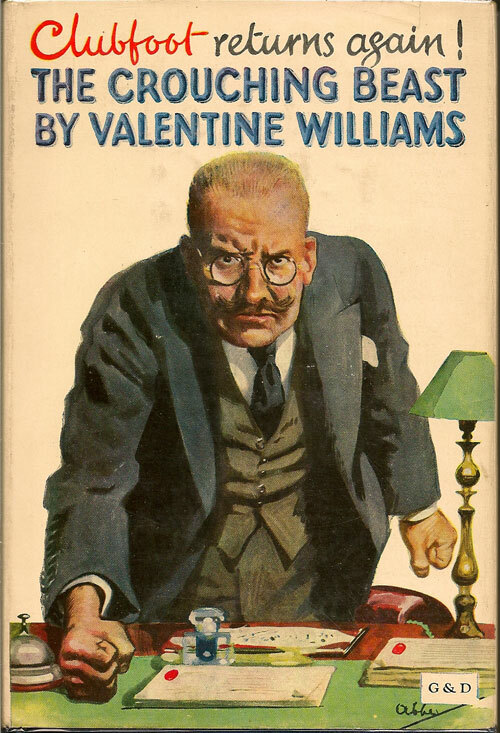 . . .
. . . Clearly reflecting a love of the classical puzzles of the Golden Age of Detective Fiction, unapologetically artificial and light-hearted, they managed both to parody and to provide genuine examples of the traditional British detective novel between World Wars. Wikipedia has a nicely concise article about Anderson. Holmes’s notable autistic tendencies have frequently been pointed out: in particular, his lack of social interests but remarkable concentration and eye for detail where a crime or mystery is concerned. 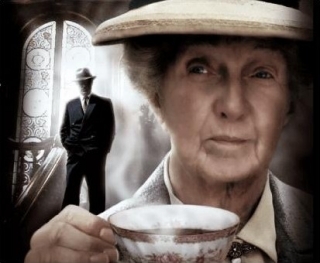 However, writers on autism have also pointed out that Miss Marple, another of the immortals of detective fiction, seems in every way the opposite: solving crimes by intuition rather than analytic deduction. 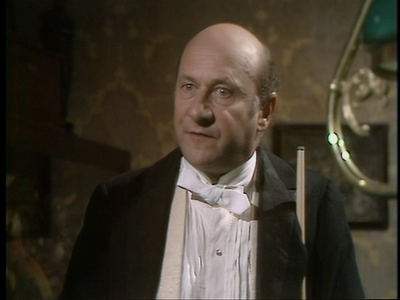 By contrast to Holmes or Agatha Christie’s other principal detective, Hercule Poirot, you could describe Miss Marple as something of a psychotic savant. As I argued in a previous post, such people excel in mentalistic, “people skills” rather than in the mechanistic, “things-thinking” of autistic savants. 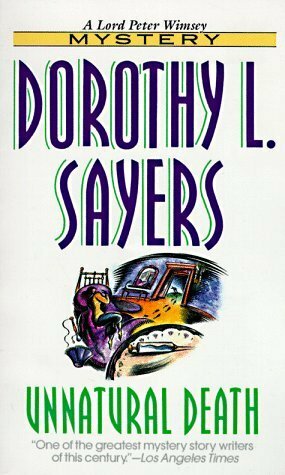 Among many other Golden Age authors, Dorothy Sayers used the notion in UNNATURAL DEATH. The classic detective story often relies on a group of people—usually relatives—being isolated together while a murder is being committed. But families are smaller today, and better communications means that isolation is very rare. Classic detective fiction also often relies on the difficulty of divorce and the shame and social disaster of being caught in adultery—both of which are no longer significant for most people. The servant class has virtually vanished due to economic changes, and the increasing financial independence of the young—coupled with the effects of long-term inflation—makes inheritance less of an issue than it used to be. Thus a lot of the background and motive power behind the classical mystery is gone. In its place we find 'suburban mysteries' of the kind written by Julian Symons and Elizabeth Ferrars; but these often teem with so many characters that the reader simply can't keep track of who has done what, or why. A contemporary review of UNNATURAL DEATH is here. Tanner on DOUBLE O SECTION has reviews here, here, and here. IMDb has more. If you're in a buying mood, you can get the series in two sets here and here, but—if you live in Australia, you lucky people—in one set here. 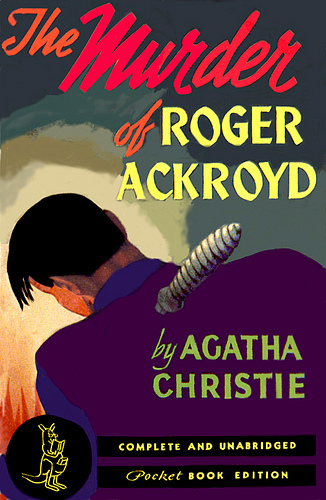 The “murder mystery” emphasises mystery: the murderer is (hopefully) kept a secret from the reader until the end, even if there is not much actual detection. 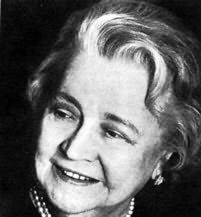 (The Americans tended to prefer suspense and atmosphere, and, indeed, many of Carr's late novels are fair play Gothic mysteries, in which the hero has adventures and falls in love, while the series detective remains in the background.) 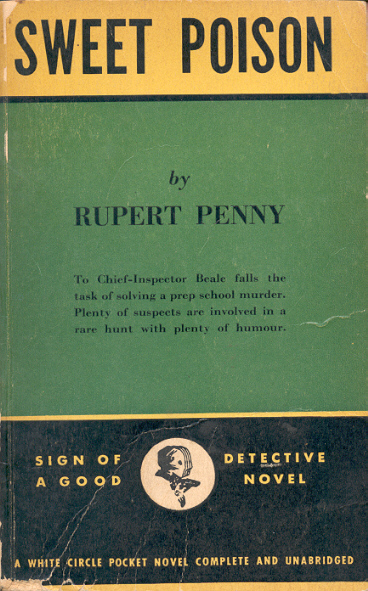 The “detective story”, on the other hand, emphasises detection, with the murderer's identity often fairly obvious. 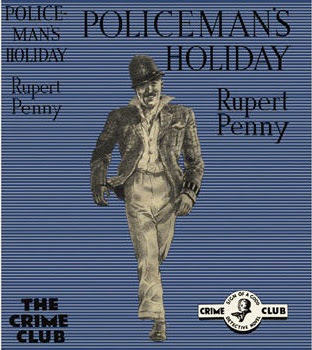 This was the dominant form in Britain until WWII, and had been ever since the days of Sherlock Holmes, when the Victorian readers of the 'Strand' were invited to marvel at Holmes's miraculous deductions from footprints and bicycle tyre-tracks, rather than working out which of the suspects did it—rather pointless, as the criminal (seldom a murderer) was often obvious or introduced only at the very end. 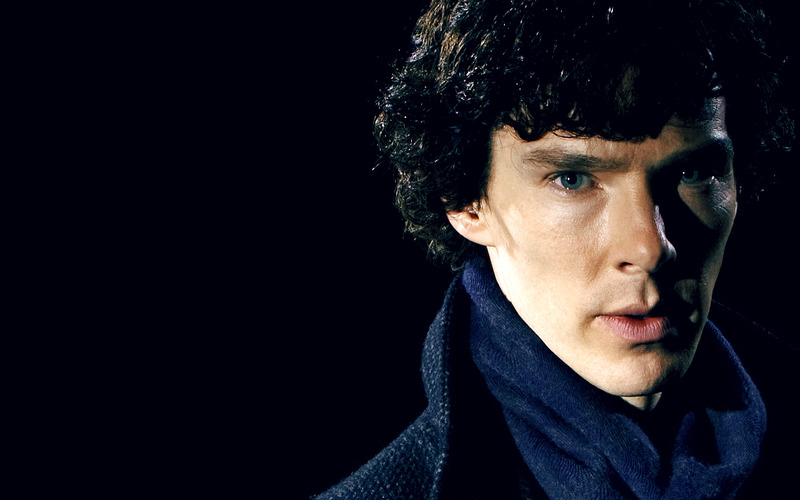 The Sherlock Holmes stories simply don't work as formal detective problems. "A sort of British Carr"
In short order, attitudes began to shift against "formal detective problems," to the extent that . . .
. . . we must return to the 1920s and the 1930s for the detective story—whether the brilliantly ingenious works of John Dickson Carr, with their jaw-droppingly astounding solutions, or the formal problems in deduction of Ellery Queen; or the well-crafted, intellectually satisfying work of Freeman or Rhode. Yet how we can we find them? The problem is that the American writers and those of the 1930s are very easy to find; they have all been consistently reprinted in paperback form since the 1940s. It is very easy to find a complete set of Carr or Queen in second-hand bookshops, and almost every first-hand bookshop stocks the complete works of Agatha Christie. Try looking for many of the traditional British writers, and it's a different story. For the mystery novel SUSPICION HANDICAP, the field is limited. You know it wasn't the hero or the heroine who did the murder. You are practically sure it couldn't have been Reggie Banks, because he is a comic character, and any vestige of humor in any character in a mystery story automatically rules him out as a potential criminal. It can't have been Uncle Joe, because he is explicitly stated to be kind to dogs. So you assume it must have been some totally uninteresting minor character who hardly ever appears and who is disclosed on the last page as the son of the inventor whom the murdered man swindled forty years ago. 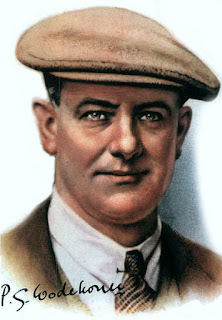 At any rate, you know quite well it's one of them . . . .
JOHN DICKSON CARR'S 'THE THREE COFFINS': A HOLLOW VICTORY? 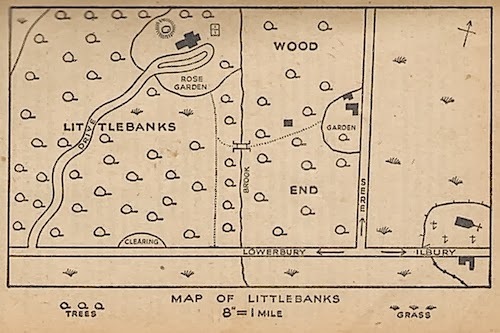 Illustrated with diagrams, maps, and photographs. 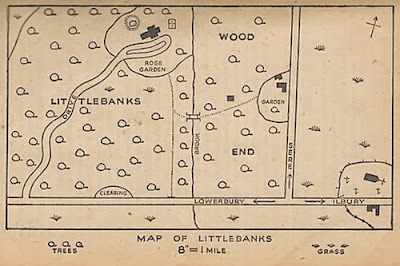 Appendix I: Floor Plan of the Crime Scene. Appendix II: "The London of THE THREE COFFINS" by Tony Medawar. 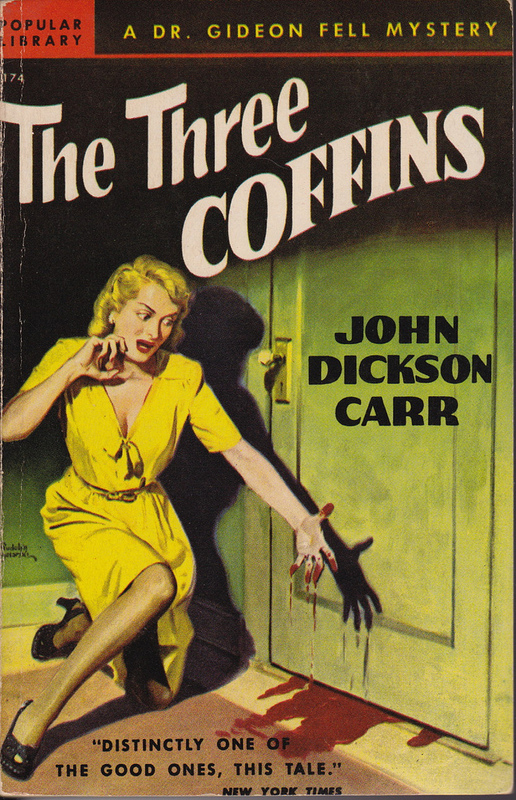 Previously on ONTOS, there was a posting about John Dickson Carr's immensely popular THE THREE COFFINS (a.k.a. THE HOLLOW MAN) editorially wondering out loud whether it might be his best novel. If you're in the same crowd with Edward D. Hoch and Julian Symons who thought it was, after reading J. Morris's CADS monograph, you might change your mind. There are elements of THE THREE COFFINS which I admire greatly, and these will be pointed out from time to time in what follows, and highlighted in the concluding section. However, my analysis is overall extremely critical of Carr's book. Unlike, for instance, THE CROOKED HINGE or THE JUDAS WINDOW . . . 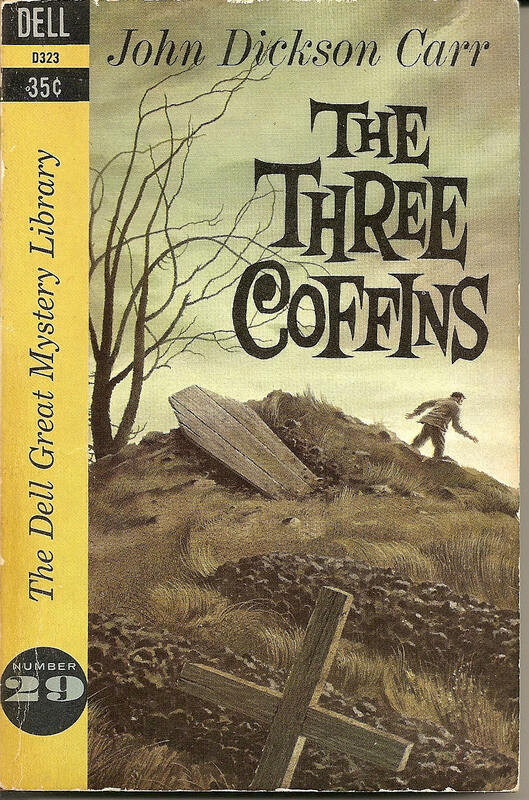 THE THREE COFFINS, in my view as against [Douglas] Greene's, can only disappoint, the more carefully it is reread. Its defects are wider and deeper than the two or three most commonly noted difficulties with the main plot construction. I will point out discrepancies, unexplained facts, impossibilities, implausibilities, misdirection that I consider unfair—and occasional moments of inspired mystification. In any analysis of this sort, meta-questions about fair-play conventions will necessarily arise, and I will point these out but not pursue them at great length. As Morris notes, Carr occasionally trips himself up due to a tendency—not always indulged in—towards what Morris terms Unnecessary Webwork, imposing thematic resonances that could easily have been dispensed with. "The Problem of the Unnoticed Haze"
"The Problem of the Dying Man's Lie"
"The Problem of the Bamboozled Detective"
"The Problem of the Panicked Murderer"
"The Problem of Twenty Minutes"
To be fair to Carr, Morris also gives six good reasons why THE THREE COFFINS should not be scorned, even with all its defects. And be forewarned: Morris tells us that A HOLLOW VICTORY? is "one huge spoiler, for obvious reasons. Those unfamiliar with THE THREE COFFINS should leave the premises." All in all, A HOLLOW VICTORY? is a fine addition to Golden Age of Detection scholarship.
. . . [Freeman] also takes some amusing pot-shots at what was then Modern Art. The plot twists won’t come as much of a surprise to readers who have read a lot of classic detective stories, but it was an enjoyable re-read. Murder and jewel theft in rural England have deadly aftermath in artistic London circles, as erudite Dr. Thorndyke discovers. - Masterly handling by G.O.M. 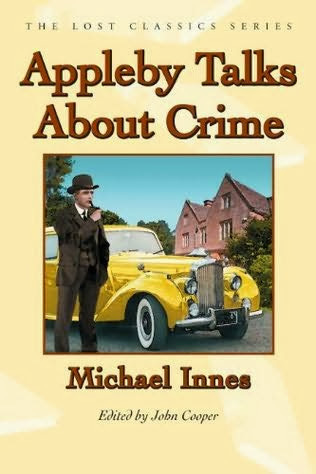 of mystery writers of not entirely opaque problem made specially enjoyable by sly jabs at modern art. - Verdict: Perfection. 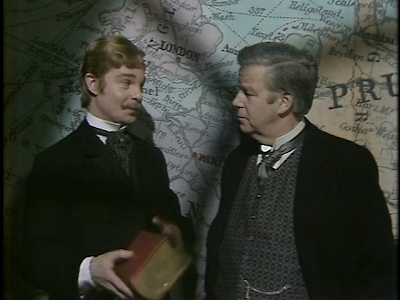 The Rhadamanthine Doctor Thorndyke is at his magisterial best in 'The Stoneware Monkey.' Although the book is made up of several narratives by different people, the sum total is satisfactory, and the puzzle is excellent. There is considerable skulduggery afoot in its pages, with the remains of one victim turning up in the shape of a calcined finger bone and some bits of porcelain teeth salvaged from a potter's furnace. The ultimate, and startling, discovery clears up two murders and elucidates the mystery of the hideous simian from which the story takes its name. All details are painstakingly worked out, and though there are few pyrotechnics, the story marches. More on the GAD Wiki. See also Mike Grost's Freeman page here. Cave-in "accidentally" smothers amateur archeologist. Expert excavator scents murder and scotches clever killers. - Soberly paced, highly analytical affair, with Fascist-plot furbelows and some British—but acceptable—humor. - Verdict: Competent. When it came to archaeology, Casson produced a good deal more; the UNZ index lists 26 items. The Voice of Experience: Valentine Williams on "Shockers"
"You can have your dialogue, and you can keep your plots. Grant me only the gift of construction!" Your tired business-man who grabs an armful of thrillers at the newsstand and leaves them in the train may not realise that the secret of the good shocker lies, first and last, in its architecture.
. . . the experience I have acquired in perpetrating thrillers myself fills me with a sort of despairing admiration for the brilliant construction which has commanded success for the classic examples of the genre.
. . . how few [thriller writers] are capable of turning out a well-tailored story, one of those yarns as snugly-fitting as a Savile Row dress coat, with a plot that neither bags nor sags nor wrinkles, a supremely skilful blend of romance, mystery, humour, suspense and surprise which, in contemporary fiction, is so hard to light upon and yet, when found, is so easily and so rapturously recognised? [There are some mysteries with] plots so perfectly turned that in their denouement every piece slides into place as smoothly as the cogs of a Rolls-Royce changing gear. The argument that incredible situations and amazing coincidences are the commonplaces of everyday life will not avail. Truth is stranger than fiction; but fiction dare not be as strange as truth.
. . . the writer of thrillers who takes his work seriously must spin his web within the framework of strictly ordinary occurrences and, save, perhaps, in his grand climax, must sedulously resist the temptation to go outside it. No half-dozen chapters for him [the thriller writer] as a sort of leisurely first act for the introduction of characters and motifs. We have to start—literally, very often,—with a bang, and trust to our skill, among the breathless, crowded events of our opening to slip in the indispensable presentation of characters, environment and theme. 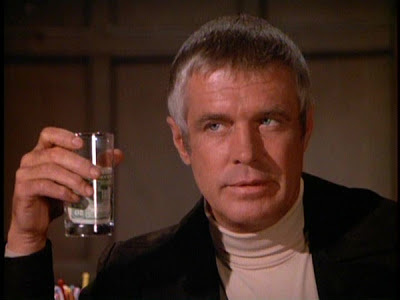 Speaking from personal experience I would say that of the two categories of thrillers, adventure or mystery tales and straight detective stories, the latter, as far as technique goes, are the less arduous to write. Mystery yarns, I maintain, on the other hand, make even more exacting demands upon the writer. He must exercise enormous restraint. The mystery must be dense, but not too complicated; the reader should be fogged but never bewildered; and the veil may not be lifted too soon.
. . . the novelist must retain his sense of proportion for an excess of villainy, even as a multiplicity of villains, inclines towards the ludicrous. Personally, the celebrated Professor Moriarty, the master-mind of crime, has always left me cold, probably for the simple reason that Sherlock Holmes leaves no place for a second super-man upon the canvas. The growing popularity of the "thriller" has induced many writers, who have made their mark in other walks of literature, to try their skill at this genus of tale. Their varying measure of success would seem to indicate that writing "shockers" is not altogether so easy as it looks. A sharp distinction must be drawn between the two main divisions into which the "shocker" or "thriller" falls, in order to differentiate the detective story proper from the romance of adventure. People are prone to confound the two, lumping under the head of crime-fiction spy stories like "The Thirty-Nine Steps", or another which modesty forbids me to name, which are, of course, pure romance and have nothing to do with detective tales. The detective story is invariably a mystery story; not necessarily so the tale of derring-do. 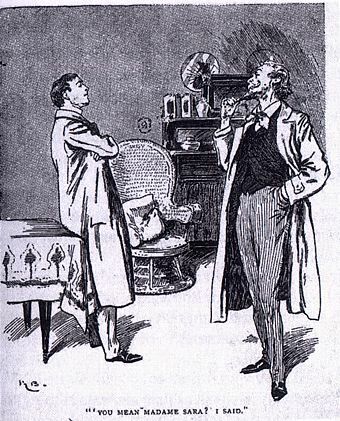 In chronological order, the writers who have developed the detective story as we know it today are Vidocq, Poe, Gaboriau and Conan Doyle. If I omit Wilkie Collins from my list it is with no idea of belittling his enormous industry, rich imagination and superbly dramatic powers of characterization, but simply because I cannot find that he added anything to the technique of detective fiction, unless it were the rather wearisome device of telling the story in diary form. The real father of the detective novel was Gaboriau, who admittedly derived from Poe, who in his turn was inspired by Vidocq. Sherlock Holmes, scrutinized in the cold light of reason, may prove to be preposterous; but to me, and all those of my generation, who watched him emerge, lean and mysterious, complete with "powerful lens" and deerstalker, hypodermic syringe and fiddle, from the pages of the old 'Strand Magazine,' he is, and always will be, a living figure . . . .
My personal feeling has always been that, of the two protagonists of the Holmes saga, the egregious Watson is the more brilliant creation. The genius of Doyle has stamped something so uncompromisingly into the moral make-up of this dull, good fellow that every reader unconsciously slips into the faithful doctor's skin and worships the great criminologist through his humble helper's eyes. It is obvious that detective fiction differs from other kinds of fiction in that, in a crime-story, the plot is of paramount importance. More than this, the handling of the different episodes, the working-up of the suspense, the gradual disclosure of the mystery, all these are factors by which the tale stands or falls.
. . . if one has to choose, it is the murder, rather than the murderer or the murdered, that must be the author's first care. Take it from me, there is no type of tale so apt to run to earth as the detective story. A matter of a few minutes in the time-table of the crime; the disposition of a window; the dress of a minor character; what at the outset appears to be the merest trifle may, as the plot unfolds, reveal itself as an insuperable obstacle in the smooth and natural progress to the final denouement. Plausibility is the touchstone of good detective fiction. Plausible motives, plausible behavior, plausible people, will never fail to carry the reader with a rush through improbable situations. Planning murders and working them out backwards is great fun. But let no one who thinks of writing a detective story start out with the idea that it is anything but real hard work. 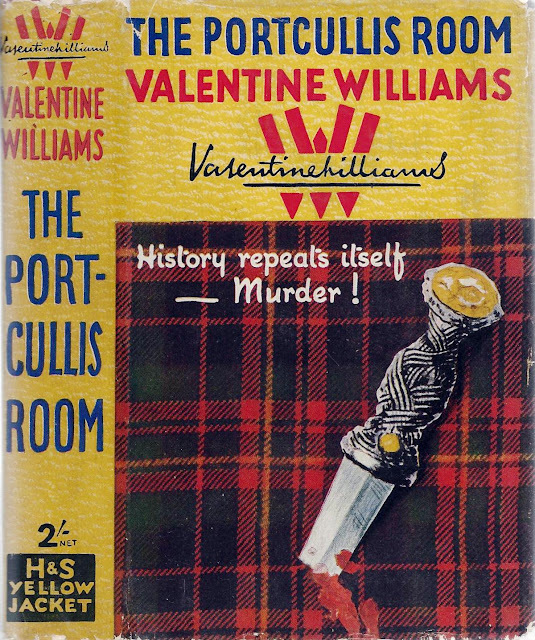 Your crime tale seldom runs as smoothly in the writing as your psychological novel or your romance of adventure . . . .
Much more about Williams is here and here. See also Curt Evans's article on THE PASSING TRAMP. I confess that I fell for Penny’s red herrings and got the solution wrong. The explanation for the mystery is cunning, if inevitably far-fetched . . .
Symons was an extremely skilled plotter, but he was much more interested in the psychology of crime than many of his predecessors. Ingenuity is put to the service of delineation of character, and the creation of a brooding atmosphere. 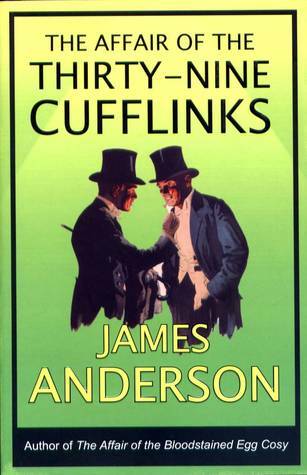 Anderson's wife falls to death; then changing calendars, anonymous letters, and anonymous treachery haunt him while Scotland Yard sniffs at his heels. - Sharp satire on English version of advertising game; terror mixed with waspish humor to a breathless denouement. - Verdict: Superior. For more about the book and its author go here and here. 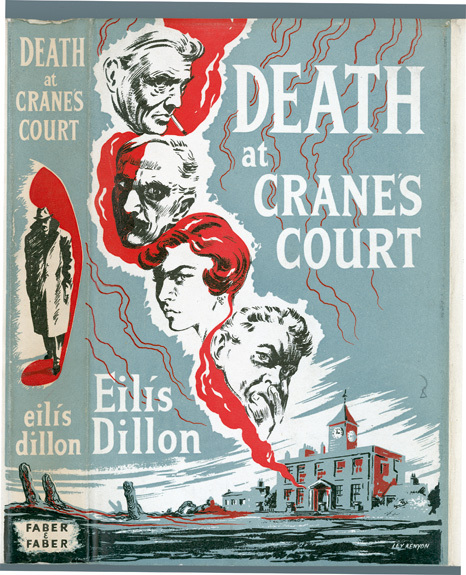 Adapted for THE ALFRED HITCHCOCK HOUR in 1963.